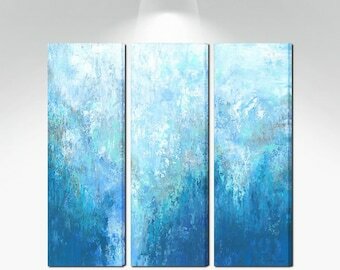 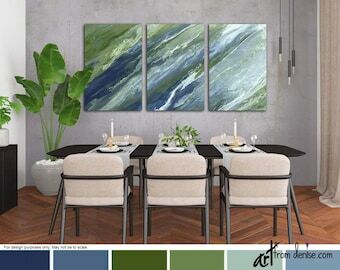 Modern three piece abstract canvas print set for bedroom, dining room, or living room wall art. 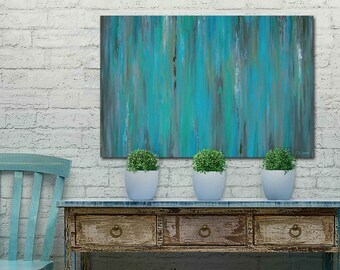 This artwork blends with a variety of styles including contemporary, shabby chic, and coastal decor. 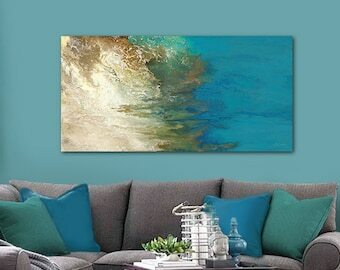 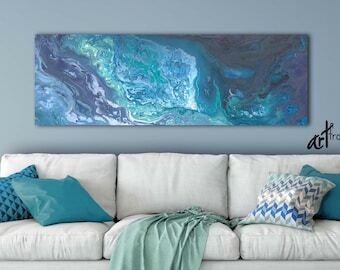 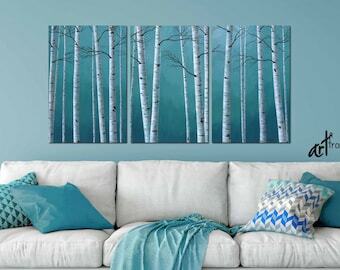 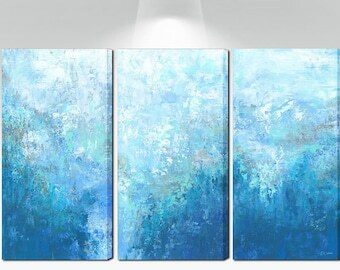 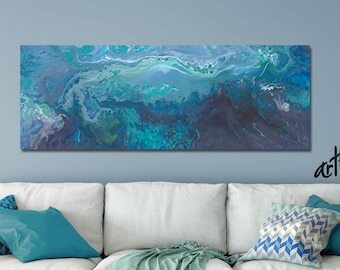 Larger sizes of the triptych are ideal for hanging over a sofa, dining table, or a king sized bed. 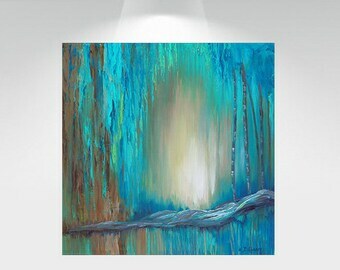 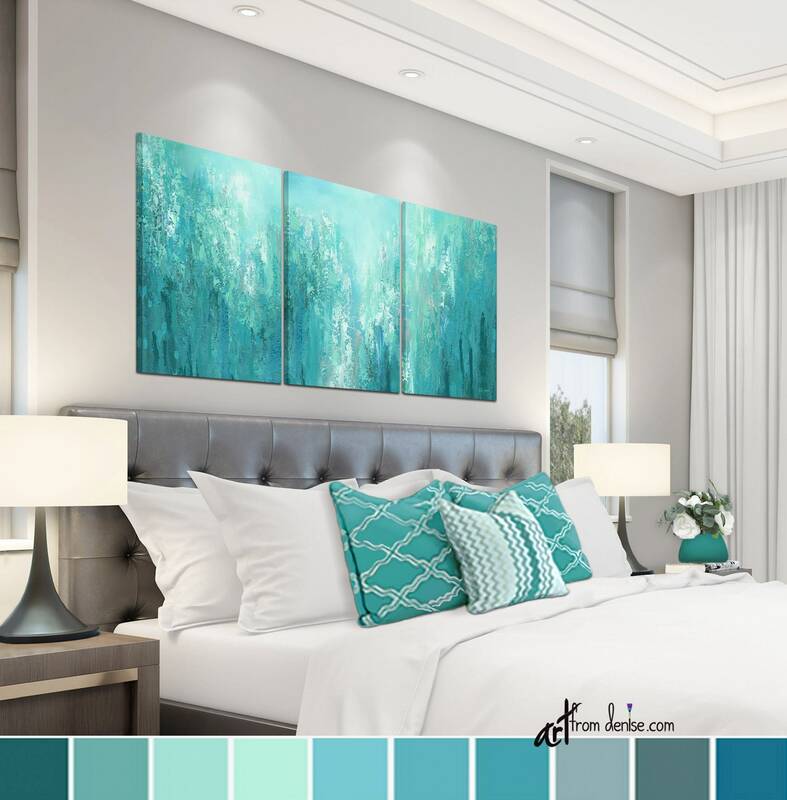 Colors include shades of blue, green, teal, turquoise, sage, mint, aqua, gray and white. 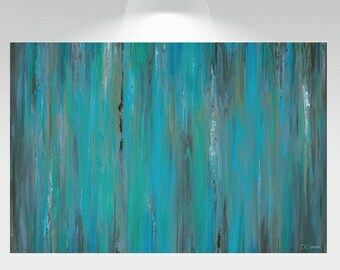 Color proofs are available. 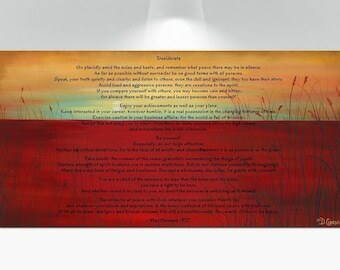 ArtFromDenise prints are made to order and ready to ship in 3-5 business days. 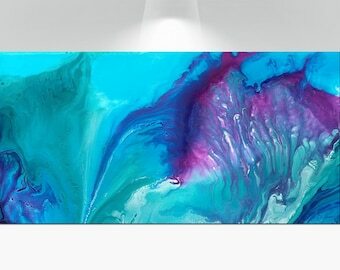 High quality guaranteed! 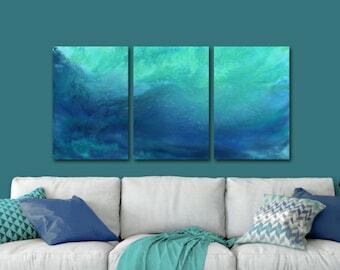 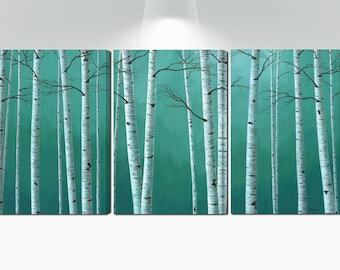 ☼ Sizes to choose from (width x height for each canvas): Mini 8x12", 12x18”, 16x24", 20x30", 22x33", 24x36", 26x39", 28x42", 30x45", or 32x48". 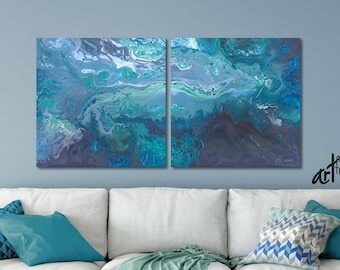 Price includes all three canvases.